The Handy utility knife lives up to its name with a 1 1/2" fold out blade, bottle opener, hex wrench and a Philips head screwdriver. 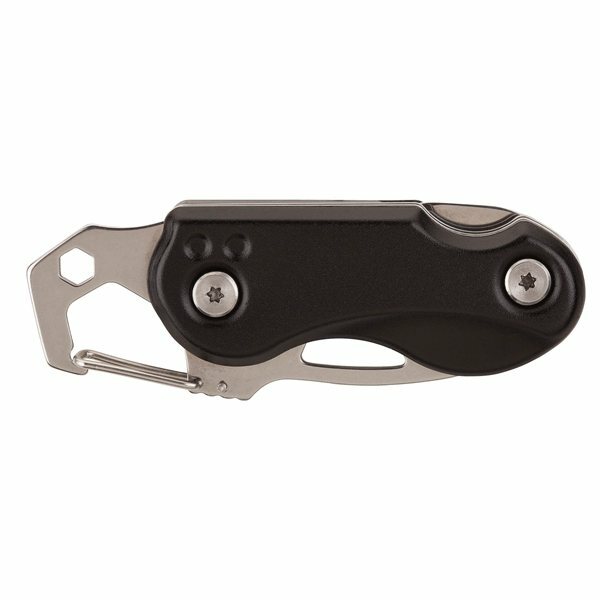 Better yet, this knife works in the dark with a LED light with replaceable battery which shines on the blade path and carabiner clip. Includes a carry pouch with velcro closure and belt loop. Finish / Material: Stainless Steel, Aluminum, Polyester.